The Lopi | Heating Fireplaces | 564 High Output unit can heat up 1,400 square feet. Customize the 564, with your choice of burners, faces and firebacks. 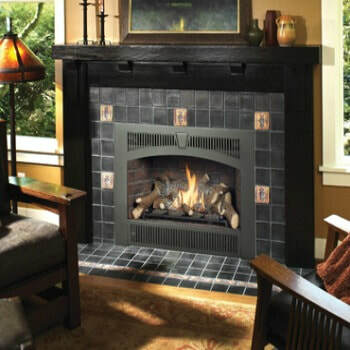 The burner options include the; the high performing Ember-Fyre burner with your pick of stone or ceramic brick liners, the basic Dancing-Fyre burner with simple black painted interior, or the modern Diamond-Fyre burner with your selection of stainless steel, black enamel or black painted liners. With a large fire viewing area and 564 square inches of Neo-Ceramic glass this unit is a show stopper. 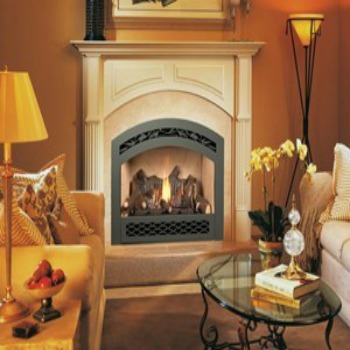 This fireplace comes complete with the ANSI-compliant safety screen, which bolsters the safety of the unit. This fireplace can be used year around, with a convenient turn-down ratio of up to 71% (NG) or 79% (LP). To create a more clean look to the fireplace installation, this unit allows for close clearances to the mantle with “film cooling” technology. This unit comes completely loaded with the GreenSmart system. This unique system, makes it one of one of the most “eco-friendly” fireplaces you can own. ﻿*All measurements and colors are approximate. Contact Bare's for more details. Specifications may change without notice. Please note Bare's Stove and Spa strives to update manuals and information as they become available. These are for reference only; the latest documentation by the manufacturer takes precedence. Please visit Bare's for color options, dimensions and additional information. If the project is outside of Southwestern Montana please visit the Lopi site for dealers that may be near your area. Bare's may only sell these products bought and picked up from our store locations. Please understand we are unable to ship, sell, deliver, install, service or provide warranty for items outside of our area.